This is another project that I did in my Dining Room for the Holidays. 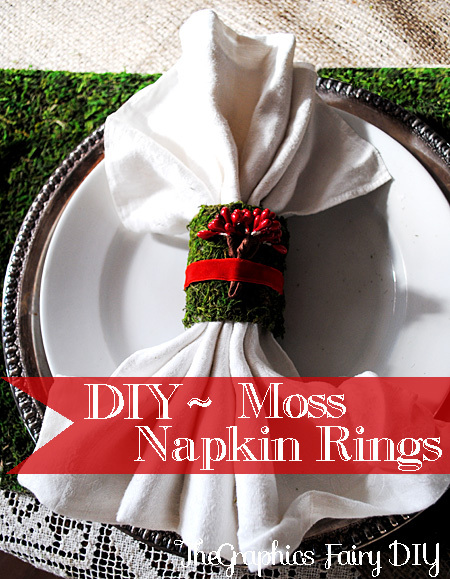 I created some Moss Napkin Rings to go with the other mossy pieces in the room. 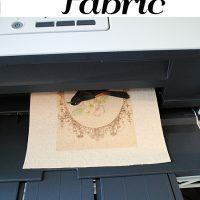 These were easy to make and inexpensive. 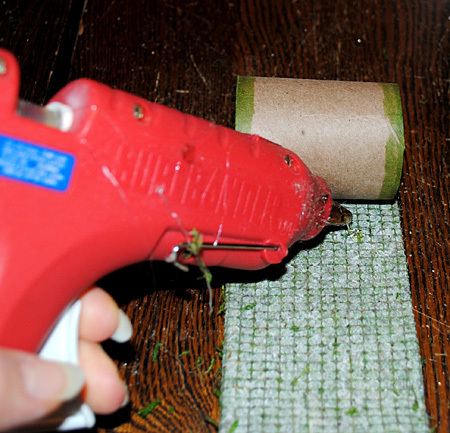 Step 1: Cut the cardboard tube to the desired size of your napkin rings. 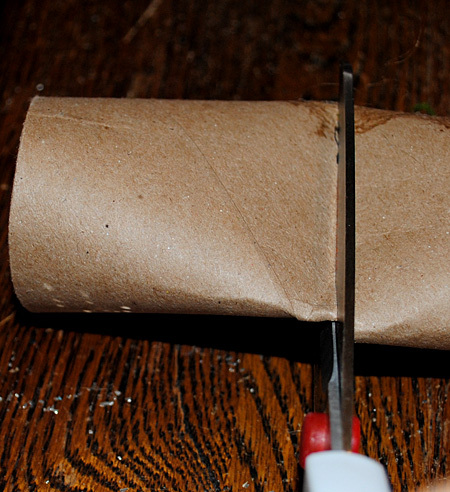 I just used scissors. 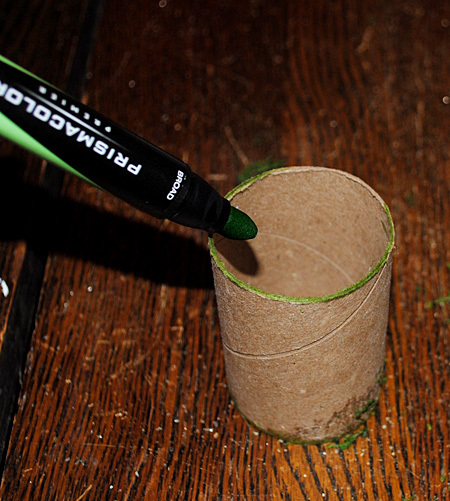 Step 2: Color the edges of the tube with the marker, so that the tube blends in more with the moss. 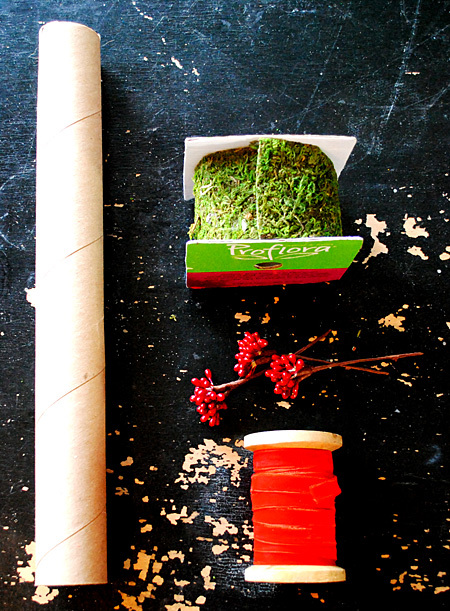 Step 4) Hot glue the moss ribbon to the cardboard tube. Step 5) Hot glue on your embellishments. 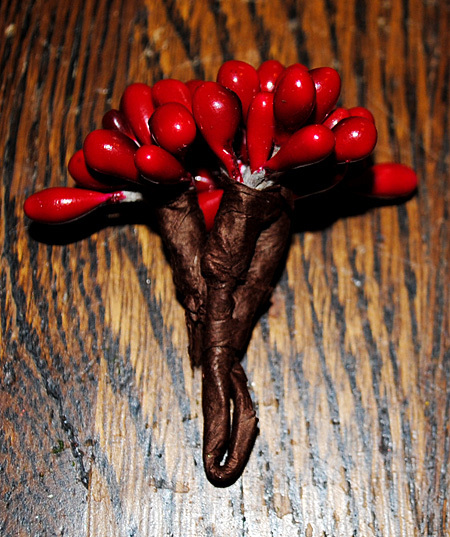 The stems on these were a bit long so I twisted them towards the back and then snipped off the excess. Step 6) Hot glue on your ribbon. 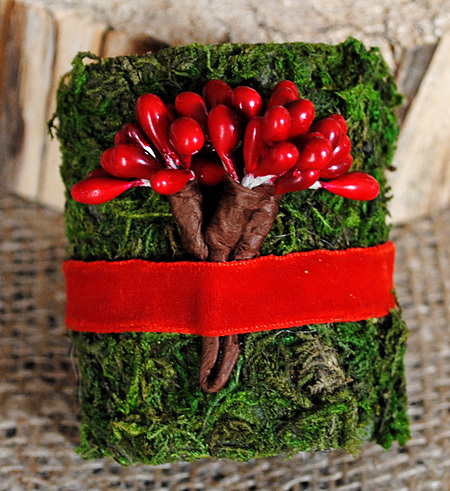 I used some pretty red velvet ribbon, but metallic ribbon would be really nice too. 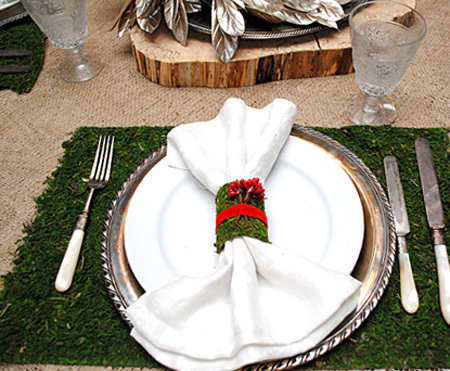 You could also add some sparkly jewels in place of the berries. 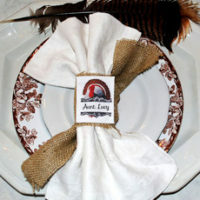 Just glue on whatever you have that’s pretty and goes with your table! That’s pretty much it! They look pretty festive, don’t you think?! Now I will warn you, these do shed. 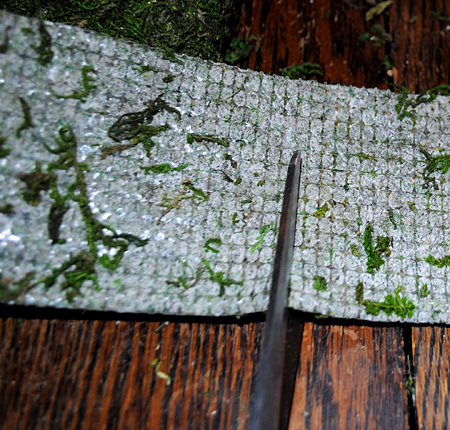 They get little moss bits on the plate, although you can easily swoosh them off before putting food on the plates. But something to think about, since that might not appeal to everyone! 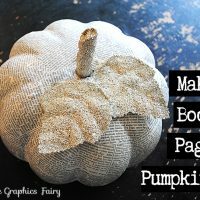 Very festive…looks beautiful with burlap!